Here is your Holiday guide to get you through the chaos of the season by aligning your holiday planning and organization with some great tips and helpful materials for a more graceful season. The holidays can too quickly become overwhelming and it’s time to take back the fun and excitement of the season with a more organized approach! 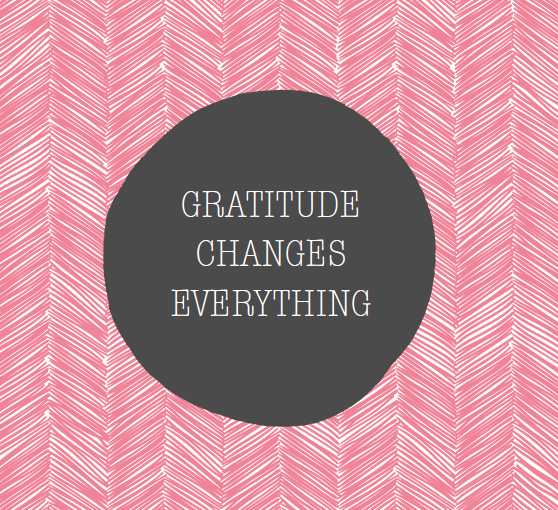 Follow along to rock this month of gratitude! You need to have a checklist for holiday shopping. It may seem like a rudimentary practice, but check-off lists are THE most important organizational tools. They allow you to plan ahead and approach any project with a sense of practicable confidence. A gorgeous printable is included for you to use—put it on your fridge, keep it in your purse, or leave it next to your bed because I know I get my best ideas in the middle of the night! 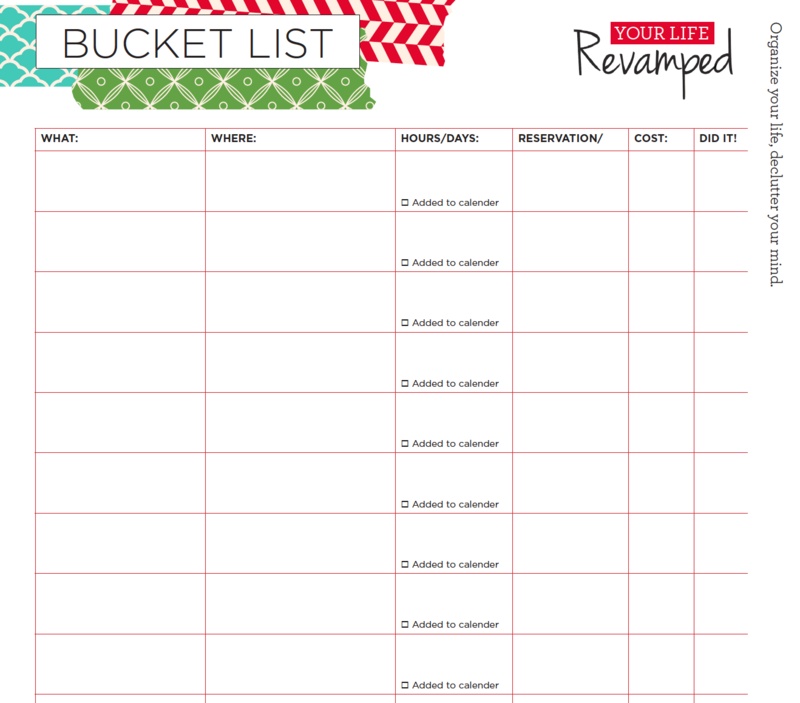 Utilize these gorgeous print-off checklists—that’s what they’re for! 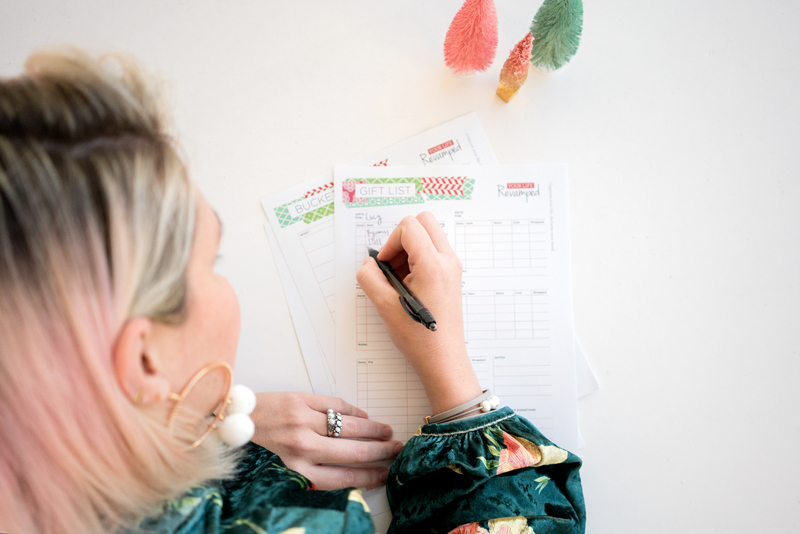 Whether you are creating lists for friends, family, or sub for Santa—for your organization or for personal use—these are essential to your holiday organization plan. 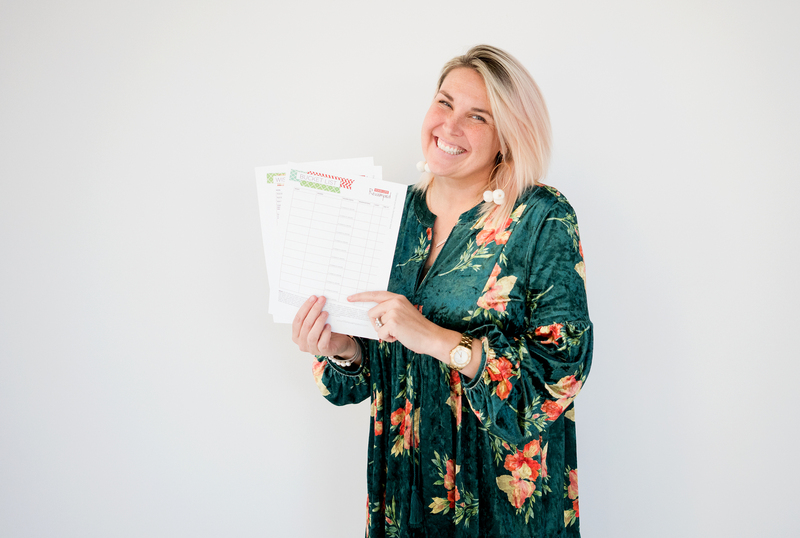 Let’s talk Christmas cards—I have provided everything you need to capture a memorable shot this year, which includes a to do list with scheduling and outfit coordination for the family and a pdf printable to track your yearly recipients. This print out is really crucial for the holidays because it should include only those addresses and information that belong on the Christmas card list. 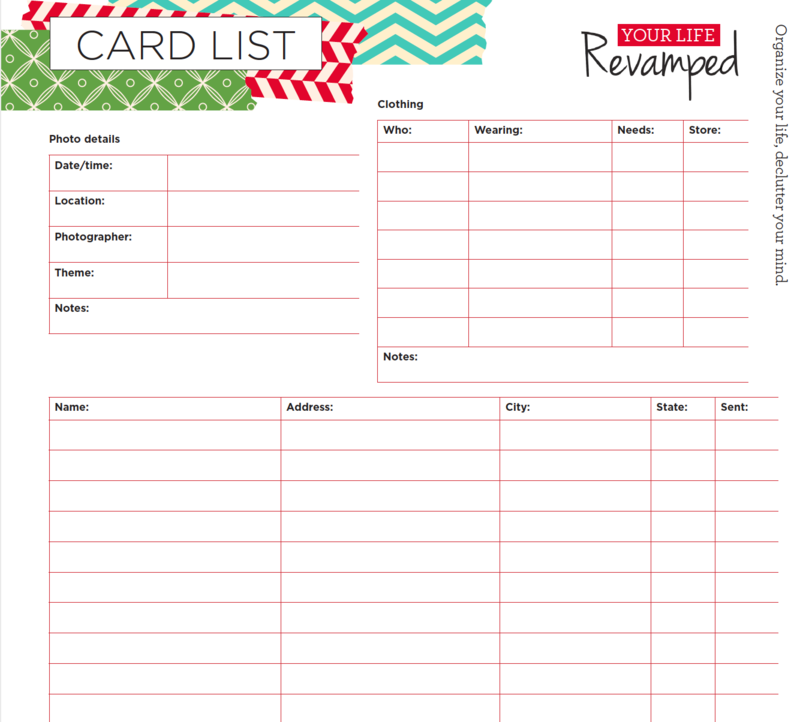 Most of these names won’t change from year to year, so having a list on hand that you can just continue to add on to and change if needed will be vital for continual holiday organization for years to come. Curate a selection of loved ones that you are excited to share your lasting memories with. This print out will help enormously. Everyone needs a wish list, and this one is sure to beat the rest! Give this to family members, detailing all of the accompanying information like sizes, colors etc. This is all you need to express anything you desire, even if it’s the same old robe to replace the ratted one you’ve loved for years. Print off as many as you would like and share! I promise they will make giving and receiving this year simple and direct. I urge you to get what you want! Last, but certainly not least, is your Holiday Bucket List. You probably have a laundry list of fun ideas from Pinterest every year that you don’t always get around to. Well this year you are going to have a bucket list with at least five activities and the date you will do them as a family or with friends. The season goes by so quickly, so post this in a visible place in your home as a reminder. Experiencing the holidays with a memorable repertoire of activities creates traditions for your family—this is what the season is all about. Don’t miss out due to lack of initiative. 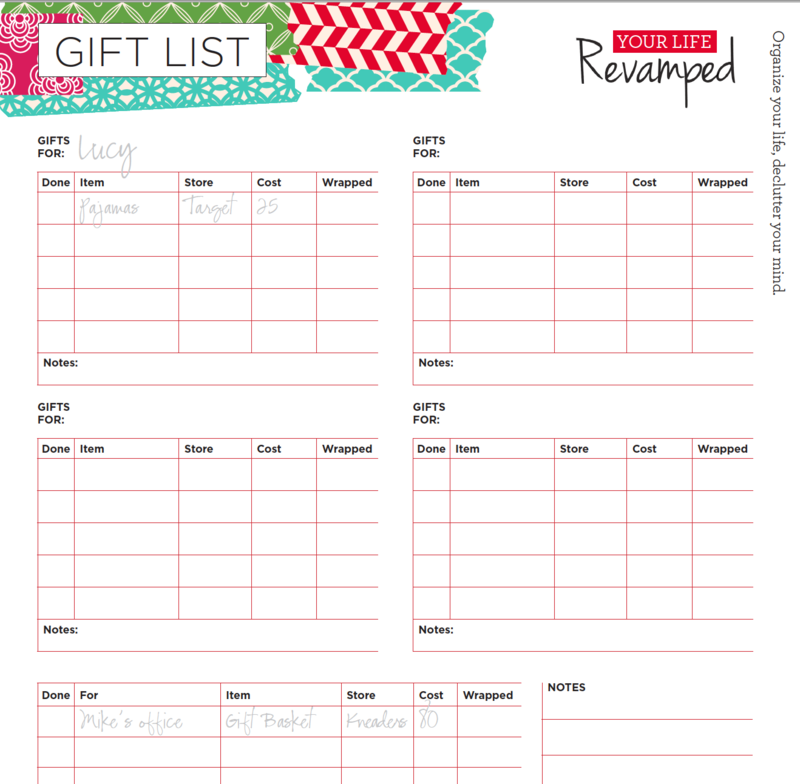 Save the lists as reminders while you’re shopping or add to scrapbooks for safekeeping. Take a holiday-themed night with cocoa and cookies to fill out the lists as a family. As this becomes a tradition each year, it will take so much of the guesswork out of shopping—arguably the most stressful part of the holidays. We’ve also included an adorable bucket list for your children. Thank you all for letting me show you how I keep the spirit of Christmas alive while staying organized! 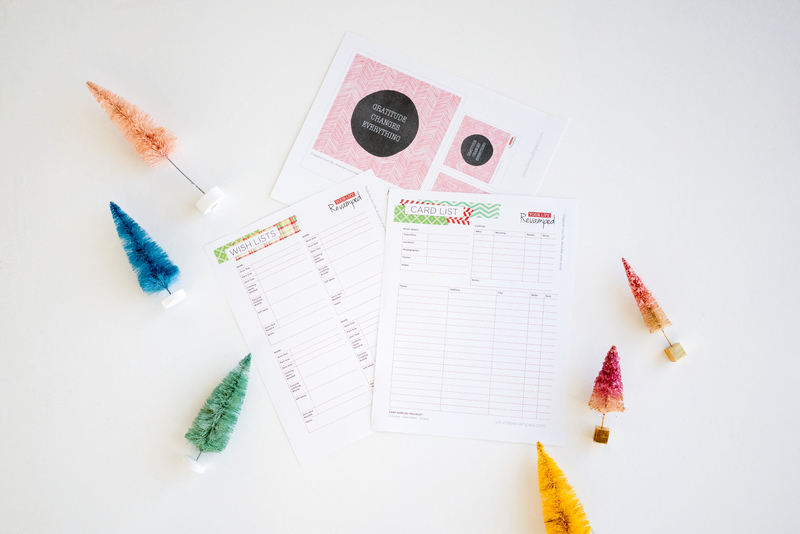 Click Here to download and print my Holiday Printables to help you ENJOY the Holidays again!